Set every last Wednesday of the month, the forum aims to strengthen partnership with the Local Government Units (LGUs) and government agencies in providing timely and significant information to the public. It also seeks to optimize the use of information towards an empowered community in nation building and development. National Tobacco Administration (NTA) chief Edgardo D. Zaragoza was the guest during launching rites last June 25. Zaragoza discussed the current situation of the tobacco industry in the country, particularly in Region 1 which is considered to be a major source of tobacco. The administrator also gave updates regarding the different programs of NTA. 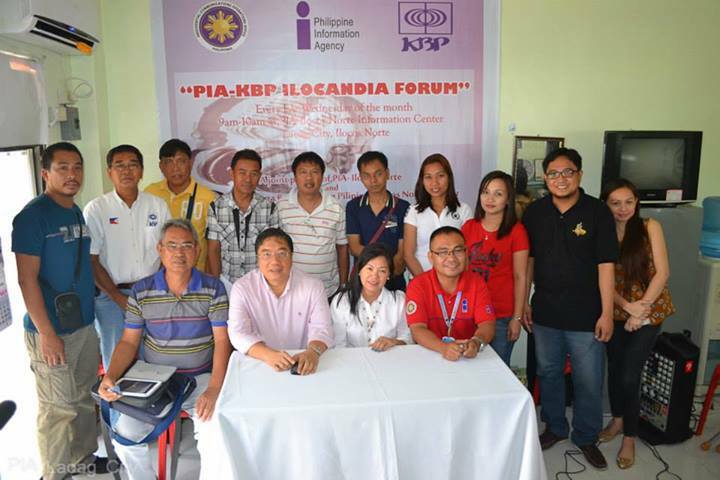 The launching was led by PIA Ilocos Norte Provincial Manager Freddie Lazaro and KBP – Ilocos Norte Chapter President Celestina Paz.